Brighton is a hub for art and creativity, but it’s hard to find a comprehensive listing of exhibitions and shows of art and design. Sussex Artbeat aims to change all that, as we compile data of art on show in Brighton and Hove, and East and West Sussex. Details of these galleries are found in the Venues section of this website, while on this page we provide a brief overview. Surprisingly, Brighton does not have a dedicated gallery for staging art exhibitions. 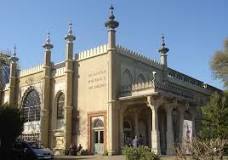 It does have excellent museums and exhibition spaces in the Royal Pavilion, Museums& Libraries operated by Brighton & Hove City Council. These are multi-purposed things which provide a wonderful focus for the city’s thriving community life – but they don’t provide the in depth view of contemporary art that a dedicated art gallery provides. Purpose built galleries for showing art are, however, found in other urban centres in Sussex. In East Sussex, Eastbourne has the Towner, while Hastings is home to the Jerwood Gallery. Chichester, in West Sussex has the recently refurbished Pallant Gallery. All these are institutions with an excellent reputation for promoting visual art. There are also scores of community and privately owned galleries in the region, most of which are listed in the pages of Sussex Artbeat. Brighton’s town centre, running from the station down to the sea along the North Laine and Lanes, has become an anarchic shrine to ‘street art’. Not surprising, as the city was home to Banksy, who made graffiti into a bankable artform. 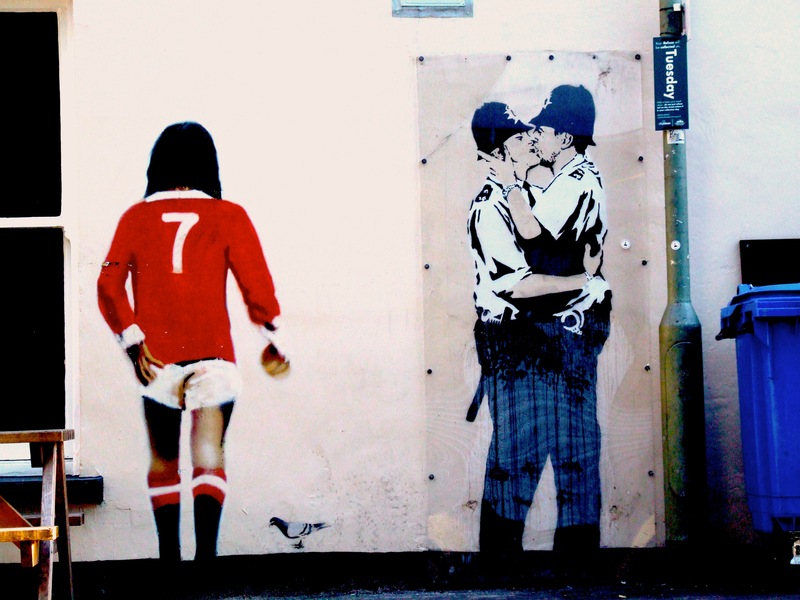 His famous kissing policemen can still be seen on the walls of the Albert pub, on Trafalgar Street, under Brighton’s mainline train station. Not far from here you can see the work of a new generation of street artists – some of whom are now paid by the council to keep up the good work – in Art Schism, an new co-operatively owned gallery. In other Brighton galleries, the street art flavour remains strong – with Art Republic and Ink’d showing prints with a pop art or illustrative flavour. If we’ve missed something, please let us know using our contact page, or simply make a comment on this page. To get weekly updates, follow us by clicking on the link in the menu to the right.